The following comments about attractions in Anaheim have been posted from individuals. We believe that the best reviews of Anaheim, California (CA), CA USA are written by travelers and holiday makers who have experienced Anaheim first hand and want to share their thoughts. Can you share yours? Please help us expand this section of our Anaheim World Guide. 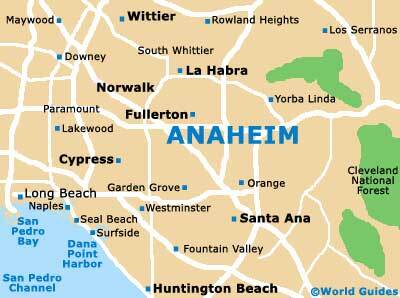 Let us know what you think about the attractions in Anaheim, California (CA) USA. Submit comments about Anaheim attractions here. Downtown Disney is a really nice part of the city. You can park here completely free and there are loads and loads of restaurant all around this area. Disneyland is obviously close by, and so is the California Adventure Park, another Disney attraction. The nightlife here is another good reason to visit this district. I have always loved coming here. Disney's California Adventure is right next to the Disneyland Park and only opened in 2001. It covers just over 50 acres and is split into five main area, the Bug's Land, the Golden State, the Hollywood Pictures Backlot, the Paradise Pier and also the Sunshine Plaza. It can be quite expensive, so if you want to save your pennies, bring your own food and drink. If you are coming to Anaheim, well make sure you put this attraction at the top or your list. Don't miss it. Please note that these Anaheim, California (CA), CA USA comments and reviews are posted by individuals and are not necessarily the views of World Guides.